We loved every bit of our stay at the villa and feel homesick already. We loved the house very much - our eleven-year-old daughter, Lara, is crying every single day (combined with some jet-lag) because she misses it. The location couldn't be better: rather secluded and right on the beach, yet within walking distance of the resort's restaurant. We went snorkeling daily for several hours. Although we've been on snorkeling trips, we never really found better places than just in front of the house and at Long Bay when we used the kayaks. Once we found ourselves surrounded by hundreds of thousands of fish (I am not exaggerating!) at Long Bay. It was really the whole Bay full of fish - from very tiny to 15 cm long. And then cruising in that sea of fishes there were ten or more beautiful silver Tarpons - about 1,5 to 2 meter long each. It was very peaceful in my eyes, although Rita and Lara were a bit afraid. It was an unforgettable experience. We also saw really beautiful turtles and very elegant large barracudas, rays - all kinds of reef fish - and a big living conch. The house was perfect to our use - designed with great taste. The kitchen was complete with chef-knives and all imaginable appliances (the best for us being the Japanese Teriyaki plate). The air-conditioning was fine-tuned all-over - what can a guest want more? Satin sheets covered the super king sized beds with the best mattresses. It was difficult to get out of sometimes! It was great. We also enjoyed what we call "double car-wash" showers and the super Jacuzzi. Outside we had a wonderful setting of beach-chairs perfectly located in front of the elegant pool and a top-notch BBQ. The staff at the resort was very friendly - really! People who visit the Caribbean often will know what we mean by that. We loved every bit of Rambutan! I am so happy that Rambutan Villa is open again! I have been trying to book a stay here for two years now, but it has been closed due to construction in the area. It is as lovely as ever, right on the beach. It is literally steps to the beach, quiet and private. We loved being accessible to everything. The villa is appointed so comfortably. It is very serene and Zen-like. We felt like it was home. There are some new updates. The sheets are amazing - same as The Wynn in Las Vegas, which is super high end. The towels are lovely, too! They also now offer a boat service pick up from Beef Island. It's an additional cost, but worth it. It sure is nicer and more on time than the ferry! The Captain comes and meets you, and there are drinks on board. It's just lovely. If you have never stayed here or been to Virgin Gorda, I highly recommend it. Our family loves it! Hello...yes I have stayed in Rambutan Villa last September...it was totally private and beautiful. The concierge was so helpful, the private chef was excellent. The sunsets were beautiful!!! Driving to and from was a little dangerous...you have to take your time, but once your there it is worth it. Do not feed the roosters or they will wake you in the morning and not leave you alone. The lizards are sooo cute. Watch out for the scorpions or they may get in your shoes. Keep all doors shut at night. if you get a heavy rain you will see a mudslide come down the right side of the cliff along the villa. Take a camera! You should take advantage of the kayaks, but wear rubber shoes so you do not cut yourself on the coral. You have to visit Spanish Town and go to the Baths to snorkel. You may read my notes in the rambutan Guestbook as you go in the front door. Is this the first time in this villa? E-mail me and let me know how your trip was and if you have any questions. I would be glad to answer any you may have. I am from NJ. You must take full advanttage of the cottages in the back as well. Take a tape recorder to record all the sound from the jungle at night...it is an awesome experience!! !Sincerely, Linda Rose Enjoy!!!! 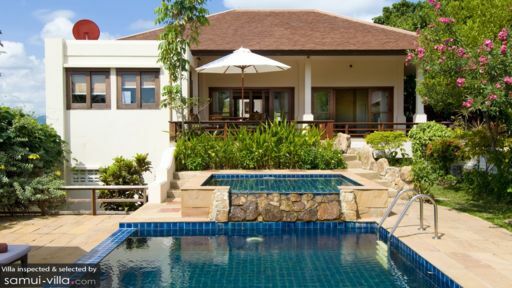 This was a return visit to Rambutan Villa for us and it was fantastic! We didn't have any issues with mosquitoes, the pool and lounge chairs were great as was the weather! The Villa itself was immaculate and we certainly slept well with the big beds and air conditioning! You'll love it!! 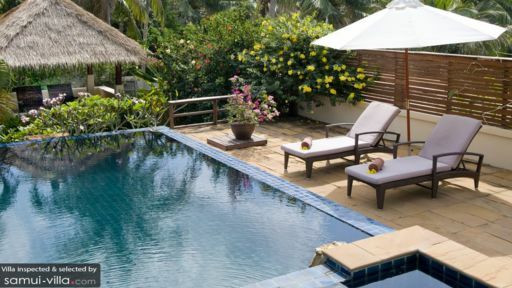 Villa Rambutan is a bit of heaven. Rambutan has a magical quality- perhaps it's the hint of Thai influence in the peaks of the roof or the lush gardens that create a complete oasis around the villa. It is as though Villa Rambutan is suspensed alone in time somewhere at the edge of the world. We didn't want to leave and it was easy to imagine that we would never have to! The kitchen, dining, living room is the best group gathering spot I can imagine with doors opening out upon views of turquoise waters, the uninhabited dog islands and your own private beach and pool. There is something magical about the entire effect- the landscaping highlights stunning views but the views are different from each room and are framed by perfect palm trees. We enjoyed lounging around the villa, walking the beach everyday (never saw another soul) and snorkeling. I've been to Virgin Gorda quite a few times, and the sea fans and corals were more vibrant in front of Villa Rambutan than any others I've seen throughout the BVI. On more ambitious days, we hiked the road behind the house (up a the mountain with stunning views every step of the way) and packed lunches for kayak/snorkeling adventures. In addition to the private beach in front of Rambutan, there are many other uninhabited beaches to choose from within a short kayak! 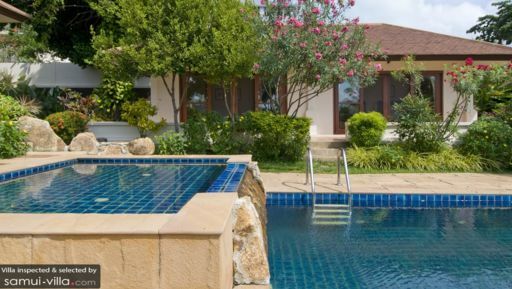 The villa is equipped with everything you need, from top notch kitchen appliances and cookware to snorkels and kayaks, games and books. You do need a car to explore the island... we were happy to relax and stay put. I couldn't think of anywhere on Virgin Gorda that was more enticing than relaxing at Villa Rambutan.